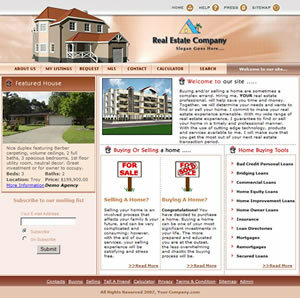 The e3 Real Estate application is a software solution for showcasing Real Estate Listings. ...... Listings. The e3 Real Estate application includes a web site add-in that provides realtors with the ability to add properties to their web site using powerful forms that are easy to use and provides visitors with the ability to browse or search those properties. Built using ASP and VBScript, this real estate website management tool allows for easy updates of properties with image upload, category management, listing management, mailing list management, and much more. Qweas is providing links to e3 Real Estate Website 96 1.0.0 as a courtesy, and makes no representations regarding e3 Real Estate Website 96 or any other applications or any information related thereto. Any questions, complaints or claims regarding this application e3 Real Estate Website 96 1.0.0 must be directed to the appropriate software vendor. You may click the publisher link of e3 Real Estate Website 96 on the top of this page to get more details about the vendor.